How M.H. Alshaya is transforming mall culture in the Gulf region with lattes, milk shakes, and cheesecakes. Alshaya has helped bring Cheesecake Factory restaurants to Kuwait (left and right) and Dubai (center). Alshaya also runs this Starbucks in Kuwait (left), Shake Shack (center), and Victoria’s locations in the Mall of the Emirates in Dubai. Zippo CEO Greg Booth is solving a problem most executives would eagerly share. The company’s flagship product, the iconic windproof lighter, is too well known. Don’t laugh. How can Booth successfully launch new products when Americans aren’t used to accepting Zippo the lighter as Zippo the brand? Yet the company identified a need for diversifying its product line. Lighters are generally used in connection with tobacco products, and Zippo executives haven’t missed what Booth calls the “significant decrease in smoking” that began in the 1980s and ’90s. That strategy of recreating Zippo’s domestic image starts overseas, test marketing new products before bringing successful trials back home. A full 60 percent of Zippo sales are overseas in more than 160 countries. These markets often resemble the end goal for the American Zippo experience: Up to 90 percent brand recognition bolstered by an openness to products that, believe it or not, don’t generate a flame. Those core values—quality, durability, ruggedness—are what Zippo has zeroed in on with its latest product expansions. And while the renewed and concerted effort to diversify may have been sparked by fears over trends showing decreased smoking, that trend never really amounted to falling sales. In fact, sales never faltered much at all, excepting the time surrounding 2007, when sales of everything were down, outside of perhaps alcohol and rope. That’s saying a lot for a company that famously manufactured its 500 millionth lighter in July of this year, after more than 80 years in business. That bears repeating: 500 million lighters. Is it any wonder that the little metal rectangles are the first thing called to mind whenever the word “Zippo” is uttered? Or is it a surprise that such an iconic company would want to trade on its flagship product’s key traits—quality, durability, ruggedness—to start entering new verticals? Certainly not. 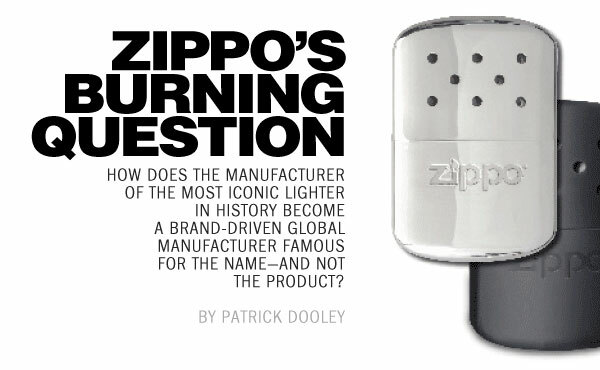 The surprising part is the products—and places—Zippo decided to venture. Warfel’s approach is much smarter and solves two problems at once. To collect market data, advice, trends and the like from countries around the world on the local level, he relies on a PR firm, namely, SLAM. His reasoning is important: Yes, you need localized information worldwide, but you also can’t spend all your time communicating with dozens of PR firms—you need a single firm with tremendous reach, one that can consolidate information and transmit it in a fraction of the time, freeing Warfel up to strategize on that question we keep coming back to: How can Zippo diversify its product line? In Italy, he was told, Zippo’s answer is fragrance. Zippo fragrance? Yes. Zippo fragrance—and no, it doesn’t smell like butane. “The fragrance is an excellent example. The brand perception of Zippo in Italy is somewhat— ” Warfel stops short, tussles with some descriptions and final settles on this: “There’s a cool factor to it. Zippo’s newest smash hit, fragrance, launched in Italy, with the help of a leading local perfumery. “[Italy] was the ideal place to begin extending out into this ambiguous ‘lifestyle’ category,” he continues. “And there’s nothing that speaks of lifestyle more dramatically or as quickly as fragrance. That’s what lifestyle is.” Warfel says fragrance sales began in Italy because, when an Italian fragrance company came knocking with enticing news about a new opportunity, Zippo knew there would be a predisposition to accept its brand beyond just windproof lighters—thanks, of course, to its friends at SLAM. Zippo can now turn to its domestic distributors with the idea of adding a fragrance line not sounding so far-fetched. “We will be using data and consumer acceptance overseas to demonstrate viability to key U.S. accounts,” Booth says. The company has already gone this route with Zippo-branded watches, also launched in Italy and currently on sale at select men’s stores that carry the company’s wares. China has been kind to Zippo, accounting for 10 percent of total company sales. The company couldn’t be blamed for rushing to offer more of its products to such a successful market, though it suffered a tough lesson in the perils of hastiness. “We are just like lots of people venturing into new markets for the first time,” Warfel says. “We’re beginners, too, in certain categories.” One such category was sunglasses, which had become quite a successful accessory back in Italy, where Zippo seems to launch many of its introductory products. When a Chinese distributor asked for rights to sell the eyewear in its market, Zippo saw a great opportunity and had “a bunch of glasses” shipped right over from Italy. The only problem? They didn’t fit. It turns out that the head size of the average Chinese consumer is roughly 20 percent smaller than an Italian’s. “Talk about missing the obvious,” Warfel laughs. “But something as simple as that, making sure the sizing is correct….” The company abandoned the idea of marketing sunglasses in China, deeming the small scope of projected sales less enticing when accounting for doubled manufacturing costs. Items from Zippo’s luxury clothing line, launched in China. He likens Zippo’s clothing brand quality to that of a Nautica or Timberland—“maybe not a Ralph Lauren,” but rugged and aimed at outdoor types. As part of that aiming, Warfel has helped to develop a marketing strategy that strikes at the heart of his desired current and future audience, with the main goal of edging Zippo back to relevancy. Partnering with entertainment company Live Nation to sponsor a series of concerts, Zippo drew on local talent to create a run of battle of the bands-type shows, as many as six per year until it grew into a larger event. “It was sort of the monkey move-up. Based on online endorsement, [bands] would advance to the next round,” says Warfel. Fun. It’s a word that hasn’t been bandied about much here in the States when Zippo is the topic of conversation. Or is it even the topic of conversation? Perhaps, and perhaps not. 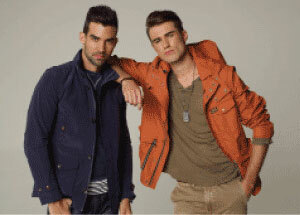 But there’s little question of whether their cornerstone product is cool. 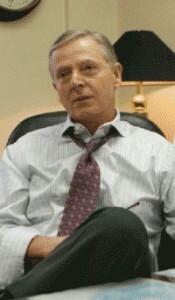 As Warfel points out, have you ever seen a Bruce Willis flick in which he didn’t light up with a Zippo? And aren’t they used in every episode of Mad Men ever made? Zippo’s manufacturing plant in Bradford, Pennsylvania. “We have a very rich history and it’s romantic and it’s World War II and it’s Vietnam and it’s movies,” says Warfel. “I finally said, ‘No more.’ I don’t want to talk about the past. I only want to talk about the future.” Can you blame a guy for such sentiments when he’s tasked with breathing new life into an iconic brand via new—and often unlikely—products? With fragrance, watches, clothing and more inching into local chains as the culmination of a successful expansion strategy that began overseas, the Zippo brand is truly headed in the best direction: Up. MEXICO CITY (AP) — When Venezuela seized billions of dollars in assets from Exxon Mobil and other foreign companies, Chinese state banks and investors didn’t blink. Over the past five years they have loaned Venezuela more than $35 billion. Elsewhere around the Caribbean, as hotels were struggling to stay afloat in the global economic slowdown, the Chinese response was to bankroll the biggest resort under construction in the Western Hemisphere — a massive hotel, condominium and casino complex in the Bahamas just a few miles from half-empty resorts. All over the world, from Latin America to the South Pacific, a cash-flush China is funding projects that others won’t, seemingly less concerned by the conventional wisdom of credit ratings and institutions such as the World Bank. The Chinese money is breathing life into government infrastructure projects that otherwise might have died for lack of financing. For commercial projects such as the Caribbean resort, China is filling a gap left by Western investors retrenching after the 2008 financial crisis. But some in the Bahamas worry what will happen if the sprawling Baha Mar project fails. They picture an economy saturated with hotels, dragged down by an expensive Chinese white elephant. Likewise, the infrastructure loans are loading financially shaky countries with more debt and letting them avoid economic reforms that other lenders would likely have demanded. Venezuelan leader Hugo Chavez talked up his independence last year while highlighting another $4 billion in Chinese loans, part of a wave of money that has translated into new railways, utilities and other projects. “In a few days, they’re going to deposit 4 billion little dollars more from Beijing,” Chavez told reporters, holding up four fingers for emphasis. Venezuela’s Oil and Mining Minister Rafael Ramirez says China has loaned his country $36 billion since 2008, and others put the figure even higher. The Spanish-language version of a report co-authored by Gallagher, “The New Banks in Town: Chinese Finance in Latin America,” estimates it at $46.5 billion. The loans have added to Venezuela’s $95.7 billion in public foreign debt as of mid-2012, which has risen even as the country rakes in record-high oil revenue. Some analysts say the spending helped Chavez win re-election in October, despite battling cancer. China has emerged in recent years as the largest provider of development loans not only to Venezuela but also to Ecuador and Argentina, according to the Gallagher report. All three are junk bond countries, ratings agencies say. In contrast, the World Bank and Inter-American Development Bank remain larger lenders in Brazil and Mexico, both countries with higher bond ratings. In cases such as the tiny South Pacific islands of Tonga, China is lending enormous sums to countries few expect will be able to repay. What has surely given the Chinese banks courage is the trillions of dollars in reserves the country holds in U.S. Treasury bonds, investments that pay almost nothing in interest. Making that money work harder for a return overseas has become nothing less than a national priority, part of China’s trumpeted “going out” strategy. China’s economy is the second largest after the U.S., and many of the deals stipulate repayment in oil and natural gas, locking in the commodities China will need to sustain its growth for decades to come. In 2009 and 2010 alone, the China Development Bank extended $65 billion in such loans to energy companies and government entities from Ecuador to Russia and Turkmenistan, according to a report by Erica Downs, a China expert at the Brookings Institution, a U.S. think tank. In dozens of cases, the Chinese have also demanded that their own companies build the infrastructure that will help governments extract and ship the commodities used to pay back the loans. 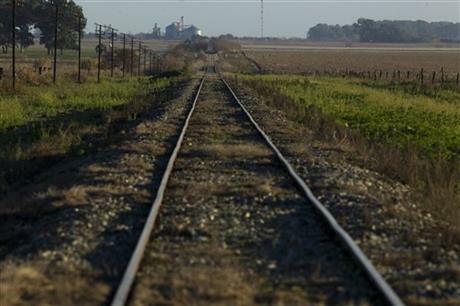 In Argentina, that means agreements to bring in Chinese companies to revamp the country’s decrepit rail system, which would speed up shipments of soy to Chinese consumers. “The money goes from one account in the China Development Bank into the hands of small- and medium-sized businesses in China,” Gallagher said, while noting the majority involve big state companies. The Chinese also hold a valuable trump card: They’re betting that Chavez and other financial pariahs won’t dare alienate their last source of affordable money by defaulting on Chinese loans or seizing Chinese assets. Perhaps with that in mind, more than 30 Chinese consultants toured Venezuela in 2011 and handed Chavez a thick binder with recommendations on everything from exchange rate reform to agriculture. While news cameras clicked, Chavez held up the book, thanked his Chinese benefactors and pledged to study the prescriptions. Unlike IMF loans, however, the Chinese recommendations weren’t a requirement, and Chavez has shown no sign of curbing public spending. The investments and loans have contributed to a substantial shift in commerce toward China. Venezuela, for example, saw its trade with the U.S. drop from 26 percent of its GDP in 2006 to 18 percent in 2011, according to an Associated Press analysis of IMF databases. Meanwhile, Chinese trade grew from virtually nothing in 2001 to nearly 6 percent a decade later, much of it in the form of oil to repay loans. But the money doesn’t necessarily save countries from their own bad financial bets. Argentina is fighting off an economic reckoning despite receiving more than $12 billion in Chinese loans, according to the Gallagher report. In 2001, the country defaulted on some $100 billion in loans. It struck a deal with most of its lenders, but over the past year, a group of creditors is insisting on payment in full. Some in the borrowing countries have watched with worry as the Chinese bets play out. Opposition politicians in Venezuela have slammed the deals for locking in contracts for everything from Chinese-made refrigerators to Chinese construction workers while giving Chavez free rein to spend billions of dollars. 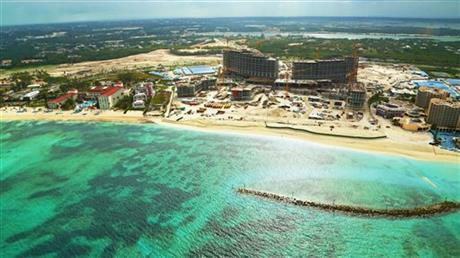 On the beaches of New Providence in the Bahamas, hundreds of Chinese construction workers are toiling around the clock to ready the Baha Mar project for a scheduled grand opening in late 2014. The project will add thousands of hotel rooms not far from the islands’ biggest resort, the Atlantis. Baha Mar has opened sales offices all over Asia to promote and presell hundreds of pricey condos, hoping to imprint new travel habits on a continent that’s traditionally spent beach vacations in Southeast Asia. It is also working with the Bahamian government to open more consular offices in China to issue visas. When completed, the complex is set to boast brands such as the Grand Hyatt, Rosewood and Mondrian, and 313 $1-million condos being marketed to the international elite. Business leaders have openly questioned the investment as Baha Mar rises just blocks from storefronts left empty during the latest downturn. The Wyndham hotel was closed for all of September and most of October because of low occupancy levels, and on Feb. 8 announced the need for “substantial cutbacks,” including layoffs. “In a vibrant economy, we wouldn’t be having any concerns. The reason it comes into question is whether it’s right at this time,” said Winston Rolle, CEO of the Bahamas’ Chamber of Commerce. The project had, in fact, been conceived in a different moment, more than six years ago, when the U.S. housing boom and global tourism seemed unstoppable. One of the original developers, Caesar’s Entertainment Corp., formerly Harrah’s Entertainment, backed out of the project in 2008, and Chinese financiers stepped in after reaching a deal with project CEO Sarkis Izmirlian. The agreement brought in a state-owned Chinese construction company to build the resort. All evidence indicates the Chinese are charging forward. They’ve made their $3.5 billion gamble in the Bahamas. Elsewhere, they’ve promised tens of billions of dollars for everything from dams to railroads. Guyana has hired the state-owned Shanghai Construction Group to build a 197-room Marriott Hotel on the southern edge of the Caribbean. Meanwhile, traditional investors in the U.S. and Europe have been left on the sidelines. It’s China’s game now. And the rest of the world is waiting to see how the big gambles pay off. Associated Press writers Jeff Todd in Nassau, Bahamas; Ian James in Caracas, Venezuela; Ben Fox in San Juan, Puerto Rico; Michael Warren in Buenos Aires, Argentina; and Nick Perry in Wellington, New Zealand, contributed to this report. EDITOR’S NOTE _ This story is part of “China’s Reach,” a project tracking China’s influence on its trading partners over three decades and exploring how that is changing business, politics and daily life. Keep up with AP’s reporting on China’s Reach, and join the conversation about it, using the hashtag (hash)APChinaReach on Twitter. We are the “Born Global” Generation. We are suspicious when on evening news that is only about America, we dream of vacations in Mykonos rather than Martha’s Vineyard, and are excited to meet people from countries we have never heard of. But, what does “Born Global” really mean? They are better traveled at twenty-one than most who are now forty, and many are already on their second passports. Prague, Buenos Aires, and Dubai are not exotic to them; London, Paris, and New York are passé, and, at best, hub airports on their way to somewhere else. They do not operate only in the West, and do not see you as legitimate if you haven’t engaged in all hemispheres—on all continents (save maybe Antarctica). While some of you may protest, saying that you can’t name 75% of the world’s countries on Sporcle and aren’t on your second passport, I would like to suggest a new way of defining “Born Global”. But being born global means a certain mindset, that we see our world as just that–an entire world–an interconnected series of diverse peoples, rather than just our homogenous city, state or country. The most distinguishing trait of our “Born Global” generation is the ability to see a vast community woven together, operating seamlessly between developing and the developed world. Also part of digital generation, we don’t see that the cultural or spatial barriers between countries and people, but rather the ability to communicate to nearly anyone else through technology and the internet. Being flexible culturally, where different cultures are not viewed as uncomfortable situations to blend into but rather learning experiences, we are not inhibited by the thought of moving to a new country, doing our research, talking to locals, finding emerging market opportunities, and starting companies. Globalization is no longer reserved for huge multinationals, as “Born Global” entrepreneurs think about scaling vertically, horizontally and across oceans. Or better yet, we just start across seas. As multinationals become more ubiquitous, each one of them is looking for an edge– and and that edge has taken the form of localization. Working in another country for a local companies fully submerges you into that culture and language. When companies are looking for candidates with diverse international experience, having hands-on experience in a country they’re interested in could land in you in a leadership role. While the world of VC’s and startups are getting more and more oversaturated in the US, they are often just beginning in many other countries. Not only can you take a more active role in foreign entrepreneurial communities, especially BRIC countries, but you may also have a prominent opportunity to shape these ecosystems. Working in another country and taking a vacation in another country are two very different experiences. Working in another country and truly trying to interact with the local culture will enable you learn more about other nationalities’ perception of your own country. Some of those perceptions may be pleasant, and others less so but it allows you to understand why people may act a certain way towards your country. Consequently, you can react in a more civil and appropriate way in inflammatory situations, representing your own nationality better. Sometimes you have to step outside to see more clearly what is inside. Being in another country is uncomfortable. When you’re uncomfortable you’re forced to push yourself out of your boundaries and adapt faster. You learn time management skills when you have schedule any hour learning a new language into your schedule, or have figure out how to achieve your own initiatives through a completely new kind of business politicking. Often times you can no longer push the responsibility on someone else and become more accountable for all your tasks and endeavors at hand. There are certain innate skills you have from receiving a Western education that are much more valuable than you would think. Resourcesfulness in research and creativity can go much further in countries where your co-workers have received more sheltered or conservative educations. This outside of the box thinking will position for a more accelerated professional trajectory. 5) How will you know what to do in the world if you haven’t seen all the options? It’s easy to say that travel will “broaden your horizons”, but being in other countries exposes you people or situations with more fluid experiences. Seeing other CEO’s or craftsman alike who have made a wider array of professional and personal decisions will enable you to make more educated opinions and decision about your own life. Sometimes all it takes to have the courage to make a big decision is to see someone else who has done something similar. The Born Global Generation is here to globalize the local and localize the global, aren’t you ready to take part? Stephany Zoo creates fire, not flash. Incubated at powerhouses like Ralph Lauren, Princeton, and Likeable Media, Stephany is a vigorous steward of brand, relentlessly excited about enduring imprints of image and word. A New York City transplant, Stephany seeks to bridge her bicultural heritage and achieve a greater understanding of international consumer behavior in Shanghai, China. She enthusiastically advances the customer development of BUNDSHOP.COM, leveraging digital and viral assets to disseminate BUNDSHOP. COM’s vision and voice. WASHINGTON, D.C. – The United States exported $186.4 billion in goods and services in December 2012, according to data released today by the Bureau of Economic Analysis (BEA) of the U.S. Commerce Department. “But we cannot stop here. More can and must be done to increase international sales and create jobs in the United States. Through our nationwide Global Access for Small Business initiative, Ex-Im Bank is reaching out locally to more small and medium-sized businesses to provide them with the export financing and training they need to succeed globally,” Hochberg said. Ex-Im Bank approved nearly $35.8 billion in total authorizations in FY 2012 – an all-time Ex-Im record. This total includes more than $6.1 billion directly supporting small-business export sales – also an Ex-Im record. Ex-Im Bank’s total authorizations are supporting an estimated $50 billion in U.S. export sales and approximately 255,000 American jobs in communities across the country. For more information, visit http://www.exim.gov. Join us for a webinar on Feb 27, 2013 at 1:00 PM EST. A comprehensive “beyond the website” look on how to effectively utilize little known programs offered by the Overseas Private Investment Corporation (OPIC) – a US Government Agency – to finance international franchise expansion transactions and insure royalties. The workshop will address the application process, Franchise deal structures, sponsor requirements and commitments, approval procedure, realistic time frame estimates, costs, fees, legal and developmental issues. The workshop will also examine various options for protecting royalties and investment through effective use of political risk insurance. After registering, you will receive a confirmation email containing information about joining the webinar. This webinar is COMPLIMENTARY for the IFA Members and Readers of the Fluent In Foreign Business Blog and Weekly Newsletter. Register now! As their economies grow, emerging market countries are aggressively building infrastructure, and developing commerce. These countries need a host of resources including suppliers, professionals, investors, franchisors et cetera from outside their borders to help them capitalize on their potential. At the same time, many companies from developed nations, particularly from the U.S., are eager to provide products or services. However, the market of connecting these buyers and sellers is extremely inefficient. Tremendous amounts of valuable time, resources and money have been wasted, until now. 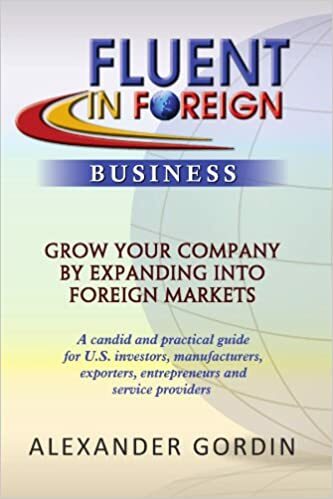 At Fluent In Foreign Business we have developed a program that effectively and efficiently connects emerging countries with companies and investors that are ready, willing and able to provide needed products and services. This initiative addresses several fundamental problems currently hindering international business such as cross-culture gaps, lack of financing, risk mitigation and legal compliance with anti-corruption and anti-money laundering legislature. Fluent In Foreign also provides a cost-effective platform for pre-selected Emerging market companies, as well as North American exporters, investors, project developers and franchisors to access and take advantage of over $5 billion of qualified business opportunities in more than 40 of the most promising emerging markets. Master Class Tour Across 42 Emerging Markets Kicks Off The Emerging Markets US$5Billion Business Challenge! As part of the EMERGING MARKETS BUSINESS: Keys To America™ initiative to help emerging market countries create $5 billion of tangible economic value over the next two years, Fluent In Foreign Business, along with the Princeton Council on World Affairs and RSL Media are pleased to announce “Keys to ABCs” – a 42-country educational tour beginning November of 2012 and continuing through May of 2014. The sessions will be taught by me personally and a cadre of Fluent In Foreign Academy’s experienced instructors. The unique workshops and comprehensive will provide qualified corporate participants in those countries with a unique opportunity to participate in the Emerging Markets:Unlocking America Challenge™, to diagnose their companies’ present “international business IQ” and to develop practical useable strategies to position their organizations for access to the International Financial and Strategic investments, Low-interest Loans, Technology Partners, World-renowned Franchisors and Lucrative Customers. How to build a solid international business, brick by brick. If you remember the story of the Three Little Pigs, you already know all there is to know about doing business internationally. Just like in the tale, there are three ways to for a company to approach international expansion through exporting. Passive Lucky (straw house): In this scenario, exporters-to-be go about their daily business and hope that someone from overseas will contact them with an order. Sometimes that does happen, and the order can be a minnow or it can be a whopper. In either case, the approach is no more solid than a straw house, and is unsustainable over time. Ad Hoc (stick house): This strategy is a little better than the first since it involves some proactive moves by the exporting company. Maybe the CEO met someone at the trade show or called on a potential customer during a business trip. Some exports can be built up in this manner, but no serious, long-term strategy develops. Therefore, any adverse turn of events threatens to quickly undo this fragile structure. Top-Down (brick house): This is the only correct approach to building business abroad. By committing to a strategic business development approach, would-be exporters are able to gradually implement a systematic, sustainable expansion plan that will serve their companies for years to come. So how does one develop and implement the Top-Down approach? Hire experienced advisors. 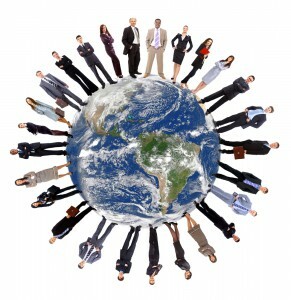 Assign or hire experienced, dedicated folks to staff your international department. Starting with senior management, implement an ongoing training program for everyone involved in exports, finance, shipping and administration. Work with the U.S. Commercial Service, U.S. Chamber of Commerce (AMCHAM) and an American business council in each target market. Set up an account with a bank that has global reach and experience in foreign currency, can provide a letter of credit and has a wire transfer department. Select the most promising markets for your product. There are about 180 potential countries in the world that merit consideration for exporters. Using tools available from the U.S. Commercial Service, World Bank, Transparency International, CIA World Atlas and private companies, thoroughly explore the markets and select 10 that appear to have the highest sales potential for your company’s products. Drill down into your target market. Once the locations have been decided, the company should research its target market segments and define its products’ advantage in each. Use currency conversion calculators to set the local pricing for the product and check how it compares to the locally available products. Create a schedule of phases in which each of the new countries will be entered. 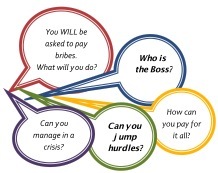 There are several types of partners for exporters. They include in-country agent or representative; local distributor or importer; and providers of technical services of equipment where warranted. To find a local partner, there are several good places to start. 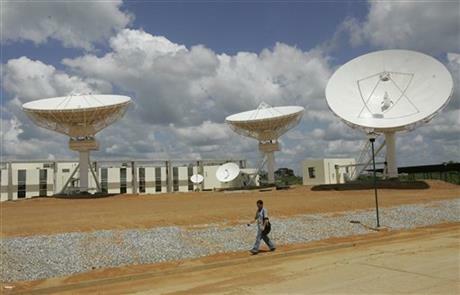 The U.S. Commercial Service offers Gold Key Service, which will identify and screen potential partners. Query local AMCHAM and industry associations in the target countries. Look on business networking sites such as LinkedIn. Ask headhunters, expats, family and friends, local lawyers, accounting firms and economic officers at the countries’ embassies in Washington DC. Once the partner is selected, enter into a comprehensive agreement and structure the relationship in a way that affords you leverage and provides for a “trust but verify” framework for monitoring the relationship. Remember, building the partner relationship is an ongoing process and the personal touch is essential to success. Travel to the country often and get to know your partner. Put a contingency plan in place in case the partnership does not work out. Together with the partner create product pricing; customize your company’s offering to the market; set up Foreign Corrupt Practices Act (FCPA) compliance policy and obtain local certifications and licenses that may be required. Find a great customs broker and an experienced freight forwarder. Line up export credit insurance and export financing from the Export-Import Bank of the United States, or private insurance carriers and banks, which finance exports. Commit to the process. In order for a company to succeed in building successful export business, commitment of the entire organization starting with the top management is essential. Once your export countries are identified, your partner selected, your product customized and positioned and your organization committed, execute the strategy patiently and consistently in each target country. Then watch your export business flourish. indicesTM to help companies seeking to expand their international business. ©2013 Citigroup Inc. Citibank, N.A. Member FDIC. Citibank with Arc Design is a registered service mark of Citigroup Inc.